OMG... How I miss you all! I want to show you my Easter decoration for this year. 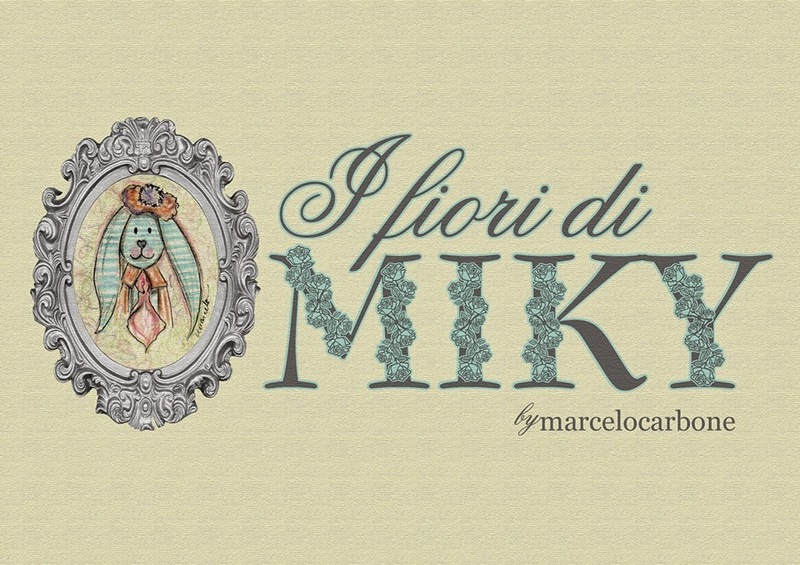 To do it, I need to tell a little tale, called "I Fiory di Miky" (Miky´s flowers in italian). 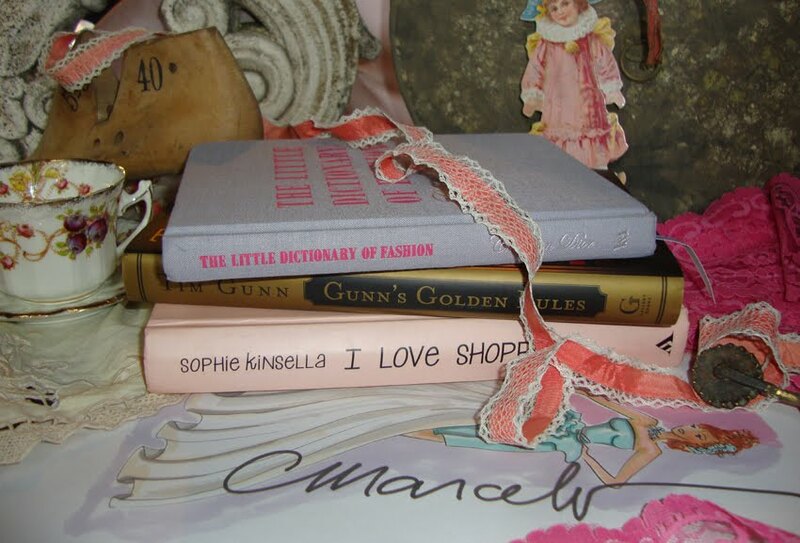 When I wrote this tale, I was inspired by my collection of dried roses - wreaths and bouquets. 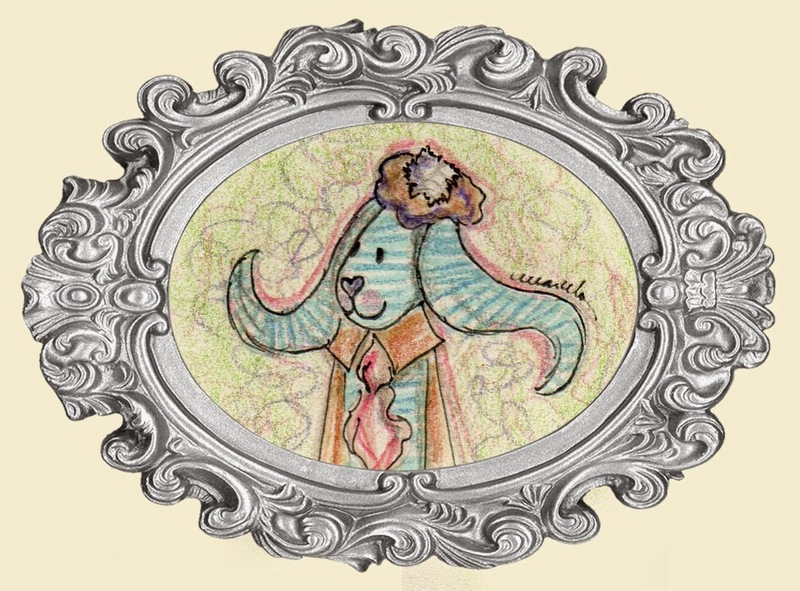 This is Miky, the artist hare! Miky is all over the decoration! I choose the colors: brown, light blue and yellow for this decoration (inspired by the stones of my garden and the dried roses). I bought this vintage hare at an antique market and made this crown in cardboard and the tie in vintage ribbon. This is Lepronius - the Emperor! The eggs - handpainting, decoupage, personalized monogram and logo. And this is the complete result! 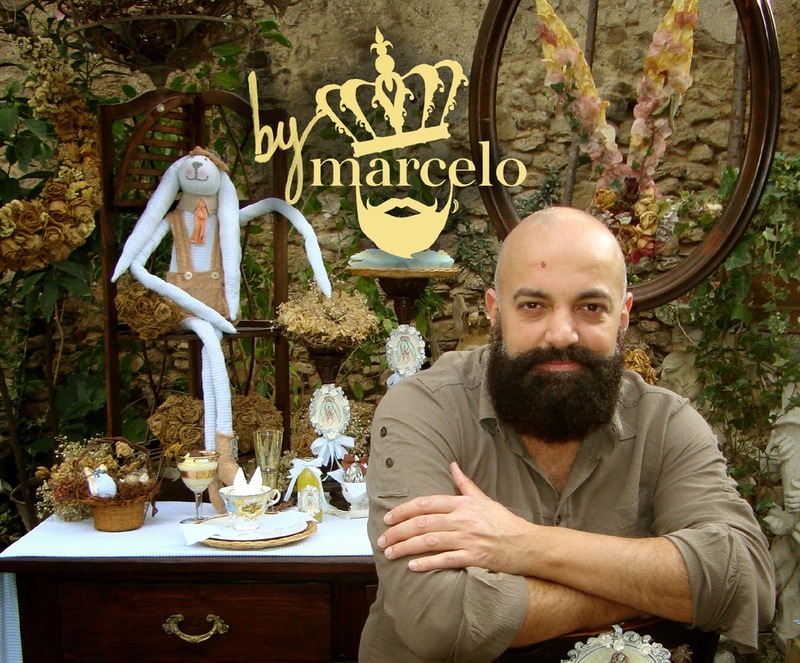 "I Fiori di Miky" - my tale has become real! Thank you for visiting... I wish you a Happy Easter!!! Wonderful decorations!! Thanks for sharing. I love the little bunny ears in the cup!!!! Yes, Beth! Those bunny ears are so easy to make!